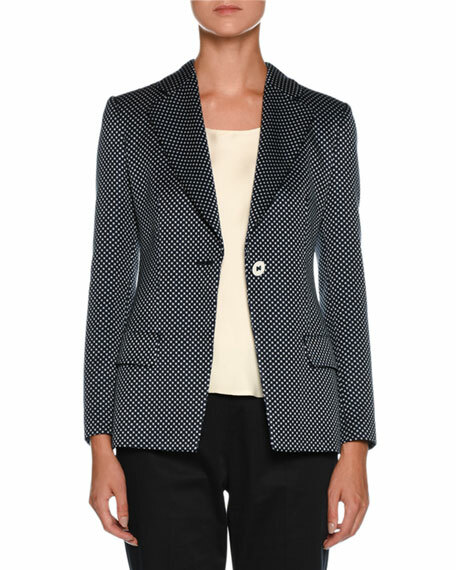 Giorgio Armani blazer in dotted silk-cotton blend. For in-store inquiries, use sku #2373082. 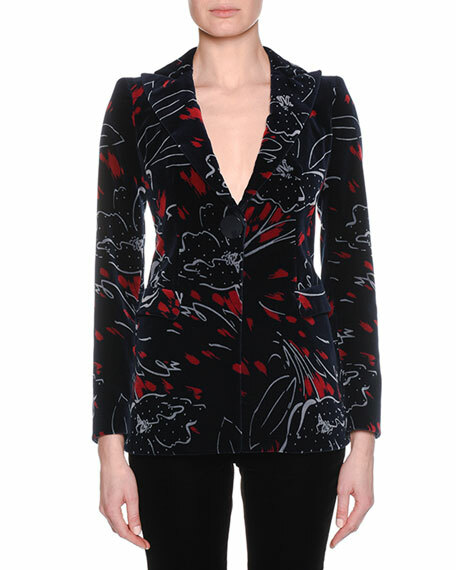 Giorgio Armani velvet jacket with abstract print. 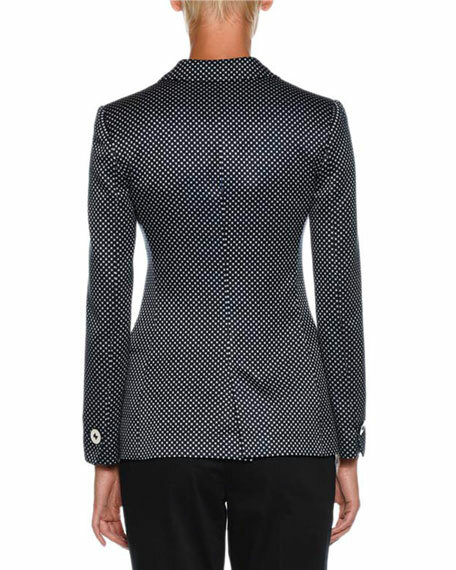 Peak lapels; one-button front. Long sleeves; button cuffs. Side flap pockets. Tailored fit. Cotton; lining, silk. Combo, virgin wool/angora rabbit. Made in Italy.